This is rather special! 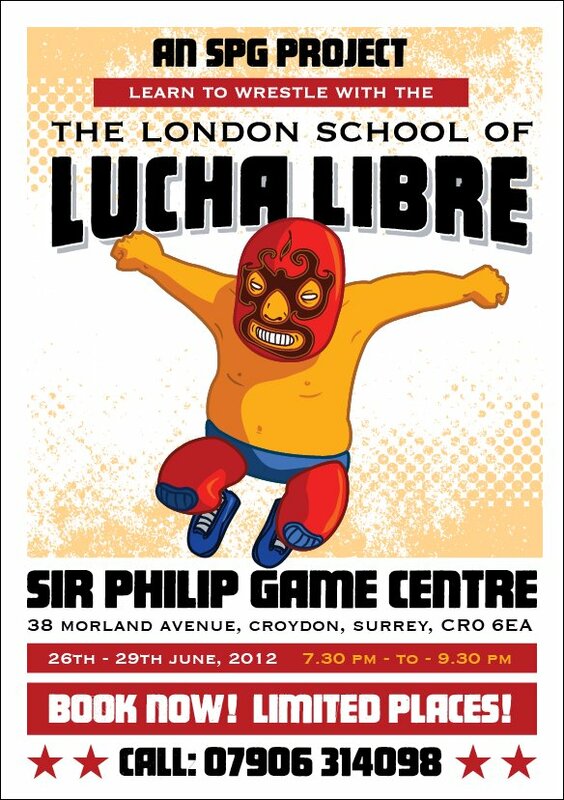 We are really chuffed to announce that the UK’s only Lucha Libre Wrestling School will be setting up a ring at the Sir Philip Game Centre teaching British, Mexican, Japanese and American style pro wrestling ! This course will run for four consecutive days only. Dates: 26th – 29th June, 2012. The London School of Lucha Libre is a comprehensive and safe way of learning all about the art of Lucha Libre Wrestling. Wrestling training is one of the greatest disciplines in the world because it teaches you so many different skills which you can take and use in everyday life. Things like improved balance, confidence, coordination, timing, body conditioning, stamina, creative thinking, charisma, strength, kinesiology, physiology, body mechanics, stretching, posture, gymnastics, acting and of course real professional wrestling skills. Lucha Libre, literally translated means ‘Free Fight’, which flamboyantly uses every possible fighting methodology, gymnastics, psychology and techniques available in the world to forge you into a real life superhero or villain in pro wrestling. The school mixes the acrobatic style from Mexico with the traditional British style, covering both countries rich heritage of wrestling and splendour while also giving lots of time to the North American and Japanese strong style of working. The warm ups and fitness training circuits will be tough! Studies not only show that circuit training is the most time efficient way to enhance cardiovascular fitness and muscle endurance but also that circuit training helps men and women to achieve their goals and maintain them longer than other forms of exercise or diet.